"Dr Lieu makes going to the Dentist a good experience." "Dr. Lieu is highly skilled and genuinely wants to do right by her patients." 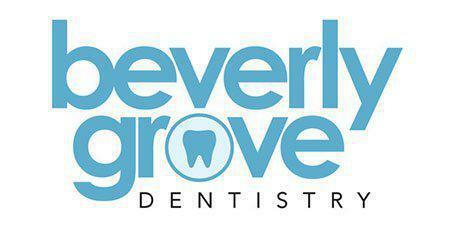 "Very detail oriented and gave me a thorough analysis on my dental health." "What a wonderful, smart, intelligent woman." "Dr. Lieu is so great and creates the best most comfortable environment." "I absolutely LOVE Dr. Lieu!" "Dr. Lieu and her entire staff were beyond lovely every moment of my experience!" Located in the heart Los Angeles, Beverly Grove Dentistry is committed to providing you and your family with safe, gentle, high-quality dental care. We understand that you, or your child, may feel anxious about visiting the dentist. We are sensitive to your needs, and it is our goal to make you feel comfortable visiting our practice while providing the best care possible. Dental emergencies are never convenient or timely. Our doctors and staff are committed to our patients' dental health no matter what time of the day or night it is. If you have a dental emergency after regular office hours, please call our emergency line at (323) 860-3238 and leave a message. Your call will be returned within the hour. "They have Netflix in every room! What a great idea!!! Dr. Lieu and her staff are very professional and friendly." "Office is clean and well equipped and actually has a great view of West Hollywood and Hollywood." "You can feel that she, as well as everyone that works there, really care about you." "Dr. Donna Lieu is a fantastic dentist and the whole office is incredibly well run." "Dr Lieu makes going to the Dentist a good experience. I always feel more educated about my oral health when I leave her office." "Incredible experience. Feels like going to a spa. Definitely as enjoyable an experience as going to the dentist can be."